Dr. Sara Klein | Chiropractor Velva | Klein Chiropractic & Wellness, P.C. A basketball injury in eighth grade led Dr. Sara to see a chiropractor for the first time. She was helped with her injury and it was a positive experience. It wasn’t until later, however, that chiropractic came back into her life. She attended Minot State University to obtain a Bachelor of Science in Biology. After her graduation, she met a friend for lunch who was attending chiropractic school. The friend told Dr. Sara that she’d be a great chiropractor because she cares so deeply for others. “I decided to check it out and realized it was what I wanted to do, helping people like I was helped by chiropractic when I was younger.” She completed her Doctor of Chiropractic at Northwestern Health Sciences University in Bloomington, Minnesota. Often, addressing the needs of your body with nutrition can change not just how you feel, but your entire life. Dr. Sara has been married for over a decade to her husband Ryan. They have three young boys Crew Ryan, Dane Parker and Brek David. Their family likes to spend time together, especially outdoors at Strawberry Lake, going on walks and bike rides in Velva Park, watching movies and attending Minnesota Vikings football games. They are members of Oak Valley Lutheran Church. 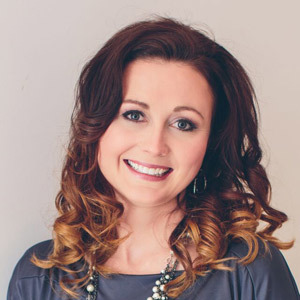 Dr. Sara is on the Velva library board, the Velva Dollars for Scholars Committee, and is a member of the Velva Women’s Club, the North Dakota Chiropractic Association and the American Chiropractic Association. We offer same-day appointments and can see you for an emergency visit when needed. Contact us today!